Still feeling tired after a good night’s sleep? Do you feel tired in the morning, even after getting a good amount of sleep the night before? You may also find that you can’t sleep very well and spend hours awake at night, which can lead you to feeling tired during the day. Lack of sleep or Sleep deprivation can not only make you irritable, but it can eventually lead to ill health, so it’s important to discover the reason for it. When you constantly have trouble sleeping and are affected by fatigue, then you may be suffering from a sleep disorder which can be relieved through modern dentistry techniques. 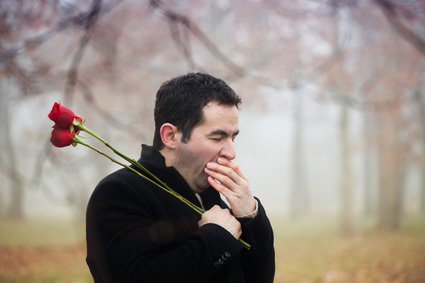 One of the most common sleep disorders is called sleep apnea. There are no obvious physical signs of this sleeping disorder. It is something that is caused by not being able to breathe properly while asleep. What often happens is that you have lapses in breathing while sleeping, which means you suddenly wake at night momentarily to clear your airways. The simple movement of your tongue will often do the trick and you then go back to sleep again. If this only happens over a period of a few weeks, it is unlikely to do any harm. If it becomes chronic, you will feel tired during the day because you don’t feel well rested. You may be putting to put your health at risk if you don’t look for a method of treating the disorder. High blood pressure and heart disease can take place as a result of your consistent trouble sleeping soundly. Not only that but your friends, family and job may suffer too, if you lose your ability to communicate due to fatigue. Fortunately, you haven’t lost out completely as you can regain your life by seeking a dental solution if you can’t sleep well. We have devices available that help to control sleep apnea. The Thornton Adjustable Positioner (TAP), for example, is one of the most effective appliances available for severe apnea as it uses cardiopulmonary resuscitation in order to ensure the airway is kept open to help the patient maintain correct breathing techniques. A healthy amount of oxygen can get into the airway with the help of this appliance that ensures the lower jaw is held forward to stop the airway from collapsing. This improvement in breathing means patients can get a full night’s sleep, and their partners too, as snoring can be reduced or even eliminated. The TAP is both adjustable and comfortable and can be fitted to the patient’s size and mouth shape. If you have been suffering from sleep deprivation in silence, then this may be the time to explore how a dental solution can help you breathe and sleep better. Before we can help with relieving your sleep disorder you should get a full medical examination first so that we can prescribe a suitable solution for you.